It is always to risky to speculate about the chances of qualification at the early stages of the Eurovision season. But after the allocation draw, ESCDaily chief editor Steef van Gorkum states that the second semi final in Tel Aviv could turn into the “revenge semi”. 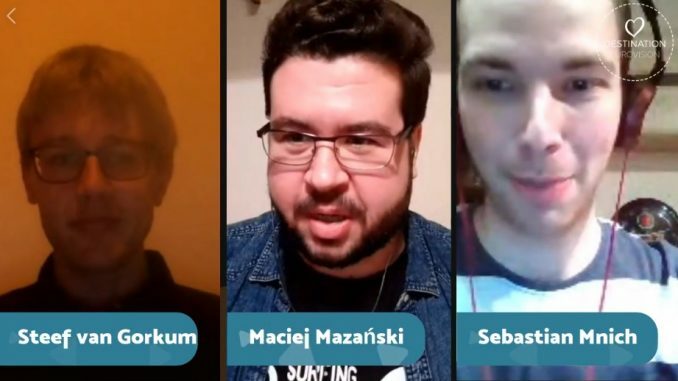 “If we are gonna talk about the draw at this stage, we have to be careful,” Steef speaks at the Polish show Destination Eurovision on a live Facebook feed. “Sometimes for a country, not qualifying is a wake-up call. This makes the second semi final a very interesting one. Azerbaijan, Russia and Romania are there. Three countries that lost their 100% qualification record last year. Now they are up against each other in Tel Aviv, and they have to come up with something new and different to make sure this does not happen again. I see it as the’revenge semi final’,” he explains his vision. Being the chief editor of this Australian website and commenting in a Polish show, Steef also talked about the chances of Australia and Poland in the first semi final.